Coding for the web is a multi-tentacled beast…because depending on the language and programming environment you use, there are a dozen different ways to accomplish your goals. 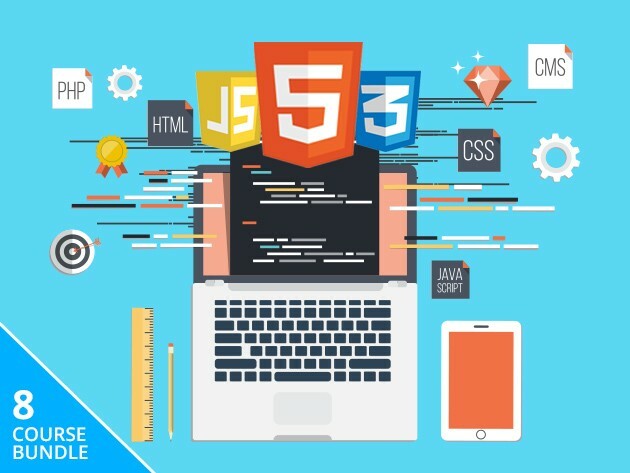 You can figure out which one is right for you and your projects with this Complete Web Programming Bundle of development basics. By the time you’re done with the over 61 hours of instruction, you’ll be ready to tackle virtually any web project…and have the knowledge to make it work flawlessly. Individually, these courses would normally cost over $560, but locking down this bundle now will save you over 90% — just over $41 for a limited time only.